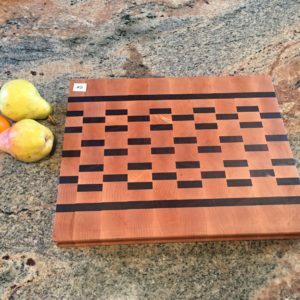 Slightly off square, a lightweight smaller cutting board. 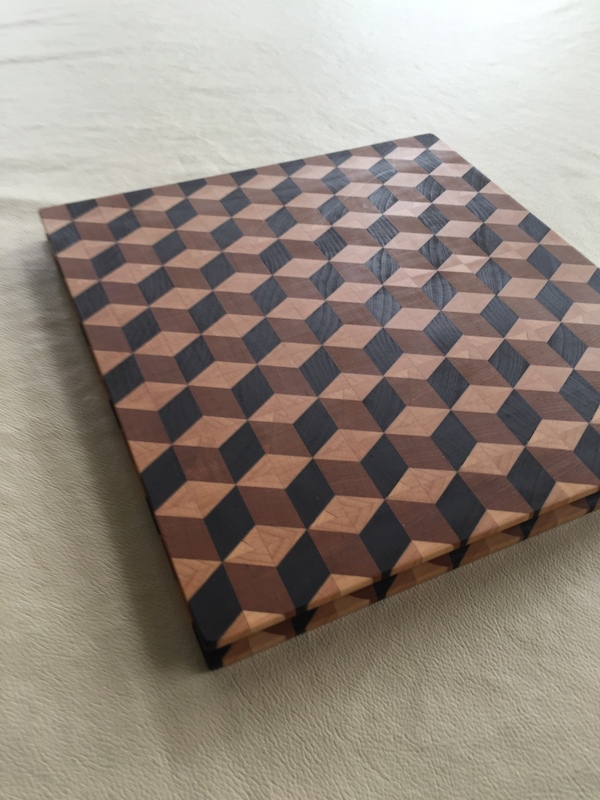 3D illusion design. 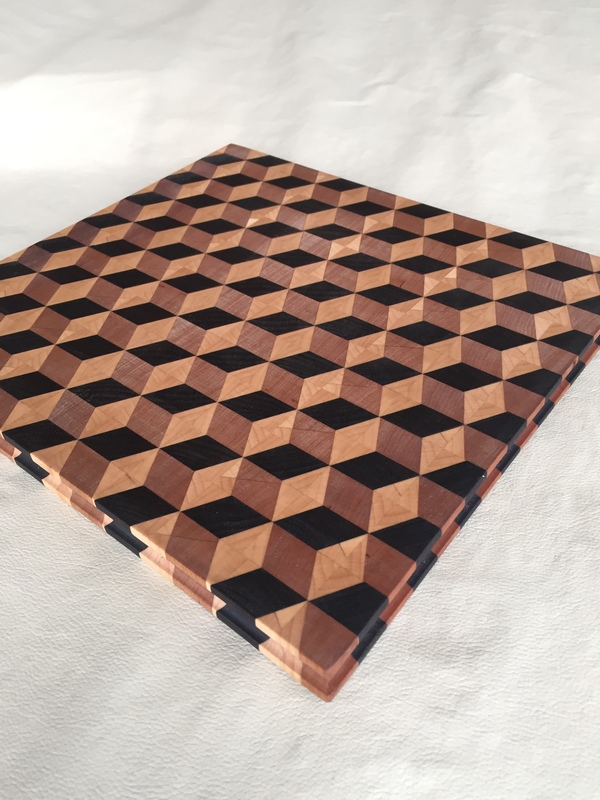 The sides of each of the “cubes” in the design is only 3/4 of an inch, so the cuts must be extremely precise. 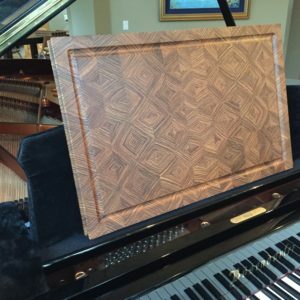 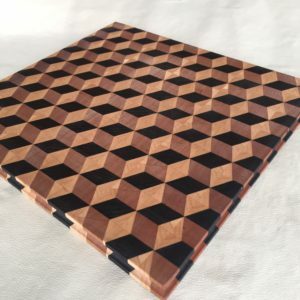 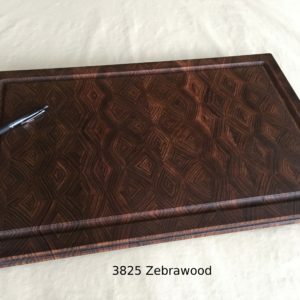 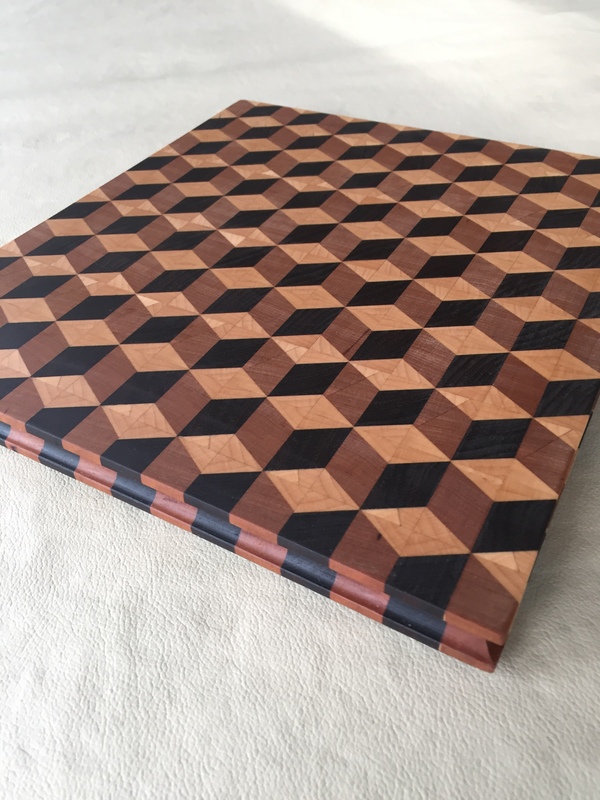 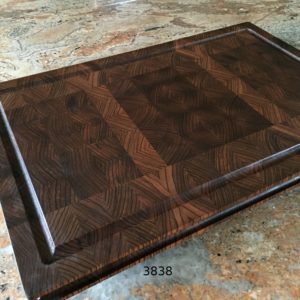 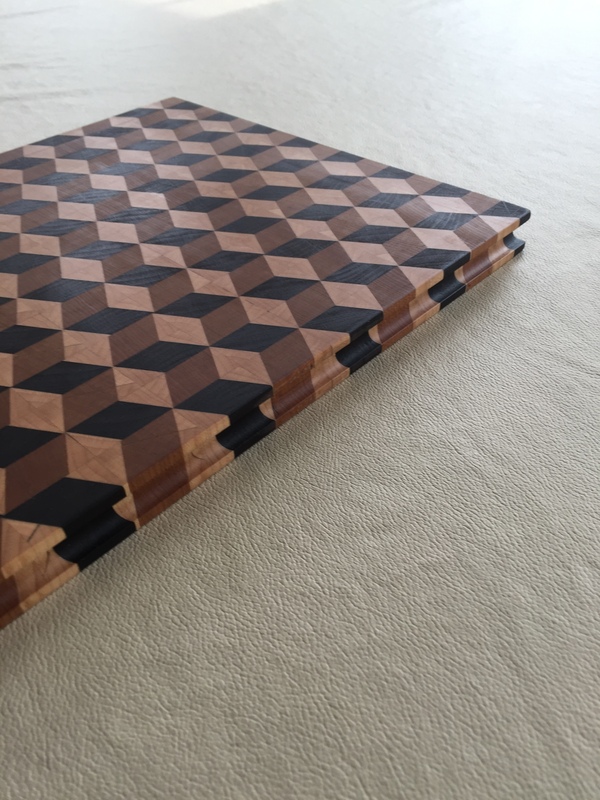 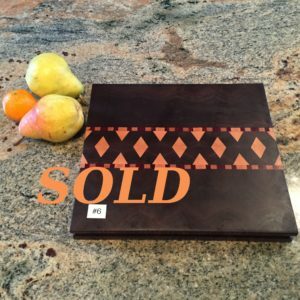 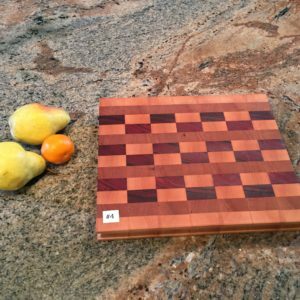 This cool cutting board has over 500 individual pieces of wood! 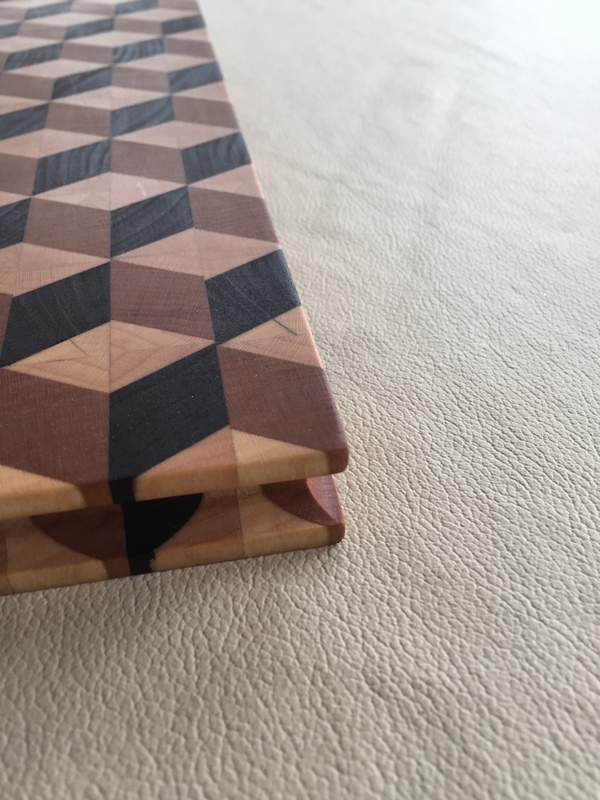 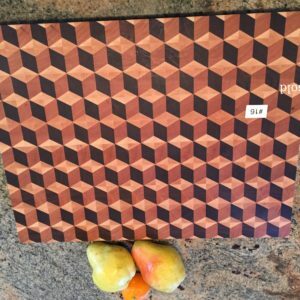 15⅜" x 12¾" x 1⅜"